Happy Monday loves! Does anyone else feel like they need a coffee this sized to get the day going? I am so not ready to start another week. Weekends go by way too quickly in my opinion. I'm hoping my week won't be as busy this week as it was last week but we shall see. Just as a warning, this post is going to be photo heavy since I took a lot of pics this weekend. And let's just already call this the weekend of Pam and Kerri since we spent most of it together. Ok, let's get right into it! 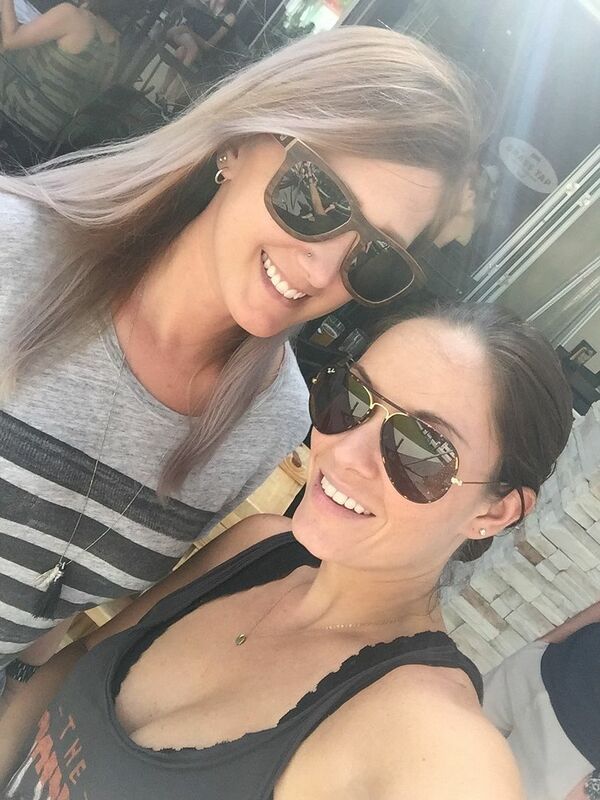 Linking up with my girl, Biana, for our weekend recap! Ok, so technically this was Thursday night but it was too good not to share. 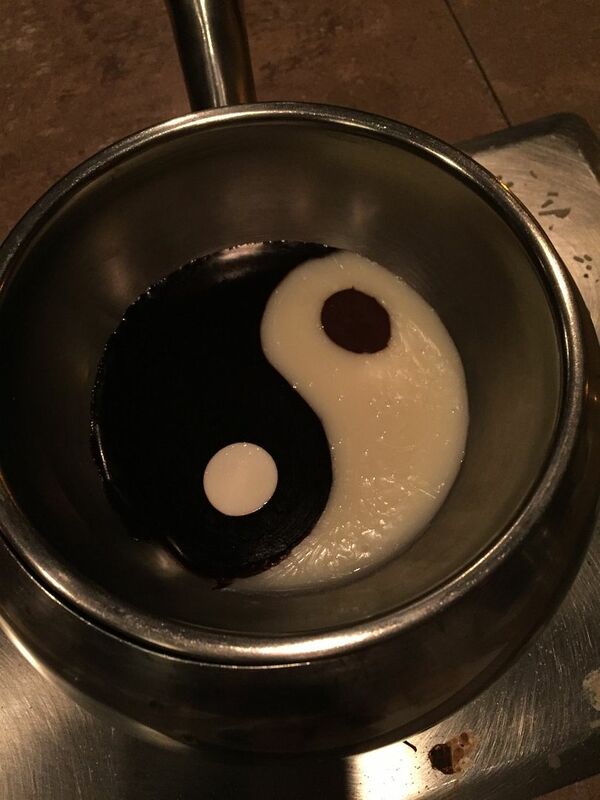 If you are ever looking for the most amazing dessert ever, I highly recommend the Yin & Yang from The Melting Pot. OMG. I was seriously in heaven eating this. And I'm not really much of a chocolate fan but this was perfection. Friday night was pretty uneventful. I made dinner, relaxed on the couch, watched some tv and read Everybody Rise. Still not done with it yet but so far, so good! 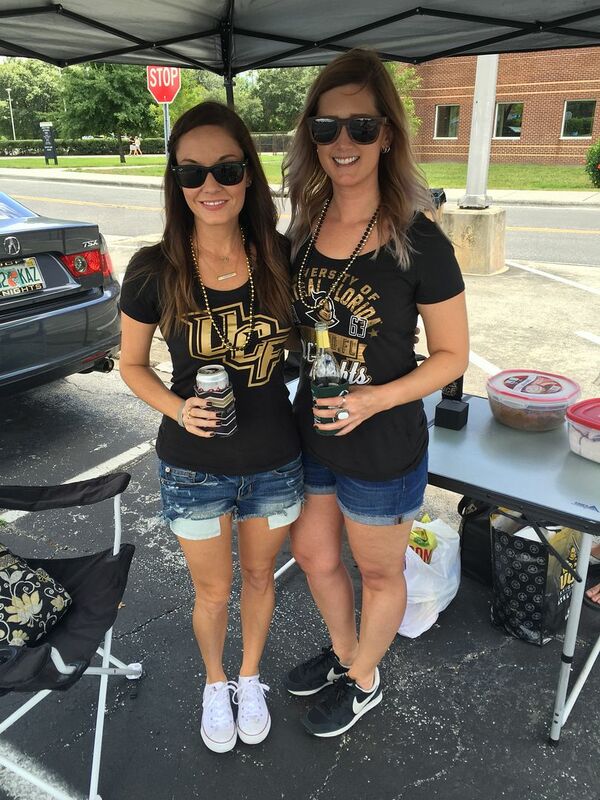 I also did some cooking for the UCF tailgate on Saturday since it was our first full tailgate of the season. Saturday I woke up, cleaned a bit then started getting ready to head over to campus. Kerri came out to tailgate with us for someone who shall remain nameless' 30th birthday! Happy birthday again old man ;) We had a blast despite the fact it literally poured. I'm talking straight up downpour. And all we had was this little tent to keep us "dry". 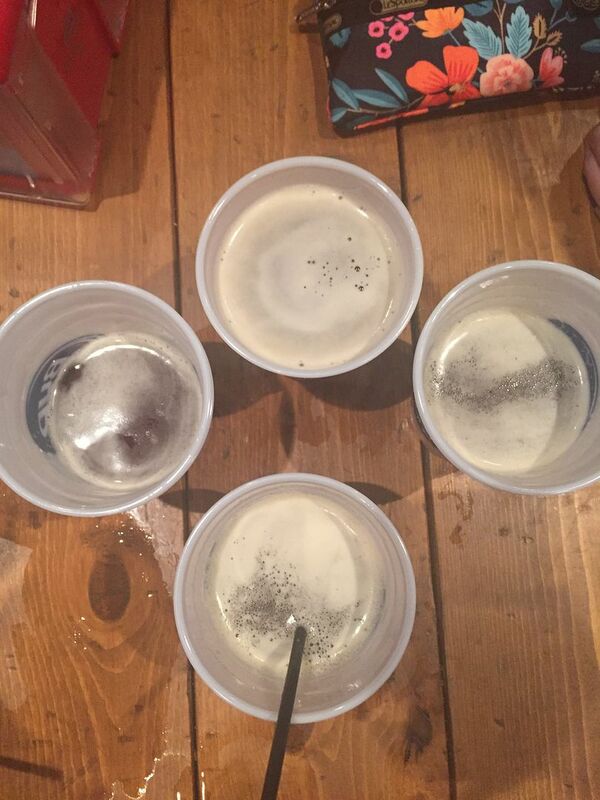 I use the term dry very loosely since we ended up getting soaked but we had fun playing beer pong during the rain storm. I have to say, Kerri and I definitely need to work on our close out skills since we didn't win a single game. 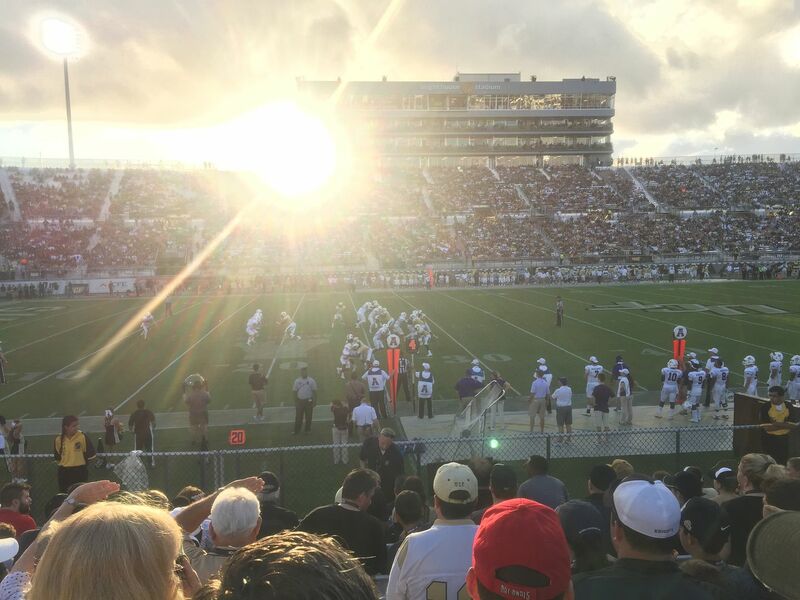 Fortunately, or maybe unfortunately, the rain stopped in time for the game and the sun came out. Which of course made it hot, humid and uncomfortable but it's Florida so I guess we're kind of used to it by now. Not really. I have to admit, my team is REALLY struggling this year. Between losing half of our starters last year and being plagued with numerous injuries already in the season, if we win a game this year I'll be happy and surprised. Kerri and I ended up leaving the game around half time to go to the bar on campus to finish watching my game and to watch Kerri's team, Kentucky, take on the Gators with some air conditioning and Oktoberfest beer (I mean, it was the first day of Oktoberfest, you have to, right?). Guys, don't let her fool you. She's a sports fan. At least when it comes to UK! Sunday we woke up and went to brunch at a spot right by Kerri's house. It's not the best brunch spot but it was free so I can't complain! 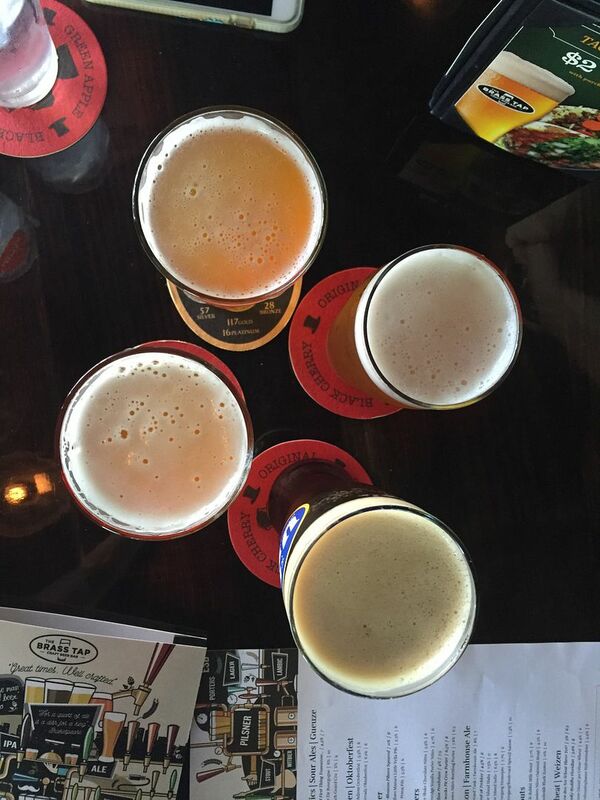 After brunch we decided to head over to Brass Tap for "a beer" which turned into three and some football. We definitely got our second wind after brunch and we were enjoying the gorgeous day. We rounded out the afternoon with some giant Jenga before heading home to finish watching football and relaxing. Sounds like you had a great weekend! I always look forward to football during the fall. I 100% agree, weekends are never long enough. Three day weekends for life, right? Glad you had a fun weekend, your pictures are great. Hope your team gets better as the seasons goes on, fingers crossed! Happy Monday, lady! Your weekend was so fun! I love your Saturday outfit, those infinity studs are to die for! Sounds like a fun weekend! And yes, I agree, weekends are never long enough. My weekend always go so fast that I don't even know what I did all those hours! Seems like you had a fun weekend, loving your pictures. You look great ! Giant jenga is SO much fun! That yin and yang looks delicious! Glad you still had fun despite the rain! I'm with ya weekends seriously need to be a day longer! Seriously can't Florida get it together and not rain on the weekends??? Sounds like you guys had a blast, thank goodness for football season being back right??? Definitely the weekend of football, even in the rain you can't beat a fun day of tailgating! And that fondue looks DELISH! Looooove Melting Pot! I don't really like chocolate that much either but that dessert looks delicious! I'm glad the rain didn't completely ruin your plans! Looks like such a fun weekend! I LOVE Oktoberfest beer! It's one of the best things about this time of year! Omg the ying and yang dessert is the best!!!! So yummy!! 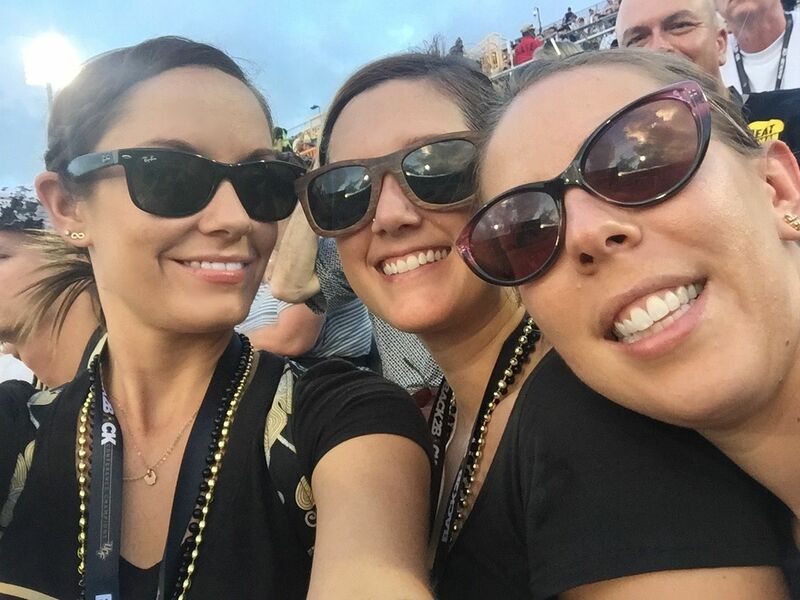 Glad you guys had fun at the game minus the rain and heat and that horrible game! Ugh! Looks like a fun weekend! Love the giant Jenga and that chocolate dessert looks amazing! so many beverages. so much florida heat. and so many good memories! i had SO much fun with you this weekend girl! was busy but all just the best! and i feel like we need to do a repeat of mckenzie's cider asap! ps send me that last selfie bc i need it :) love u! I'm counting down to the weekend, too, ahh. Weekend go by WAY too fast. Anyway, the yin and Yang from Melting Pot looks and sounds SOOOO good, ahhh! I need to try it! Looks like fun! I want to play giant Jenga lol. xo Have a great week! Looks like it was a super fun weekend. Glad the rain stopped for the game. I totally wish weekend were longer. The Yin Yang dessert's really creative and looks yummy as well! Looks like a great weekend full of great food, great drinks and great friends. That yin+yang drink looks so yummy. I also love that Coffee Mug gif, so artsy! Looks like such a fun weekend, I want that Jenga set at my house! And yes, I got the large coffee this morning! Lovely photos! I'm sure you had a great and fun weekend!! Opposite of you we got the tailgate in and then had a downpour during the game but we kept saying it made it more "exciting".. I guess haha. Looks like such a fun day. Yay for a fun weekend! That Jenga set is too fun! Ohhhhh that dessert looks so fun! I haven't been to the Melting Pot yet, can you believe it?!?! Sounds like you had a great weekend with lots of football! Happy Monday! I hear ya about the coffee, lady - I'm working through my first water bottle of the day, but then I think it's time for another cup of joe! Glad you had such a fun weekend and gorgeous weather for the most part! I have Everybody Rise on hold at the library for my Kindle, so I'm glad to hear it's good so far. Such a fun weekend - besides the storm, but that's FL! Ugh! Great recap of the weekend! I know you can make it through Monday, hang in there. You had a busy weekend! Booo to the Gators winning, I was cheering for Kentucky too... But, YAY Bengals! Football weekends are the best! I don't love the sport but sure like tailgating! Giant Jenga is my favorite. I loved all of your snaps this weekend!! Looks like you had fun tailgating, despite the rain! I've always wanted to do a giant Jenga-looks so fun! I needed a tankard of coffee to get me through the morning. I love the life size jenga, they have one of those at the bars down here and it's so much fun. i LOVE the melting pot! I have not tried that though, so I will need to next time! Also, congrats on your LTK feature! I still haven't been The Melting Pot but this dessert makes me think I need to get there NOW because I looooveeee chocolate! That thing looks amazing! giant jenga looks so fun. 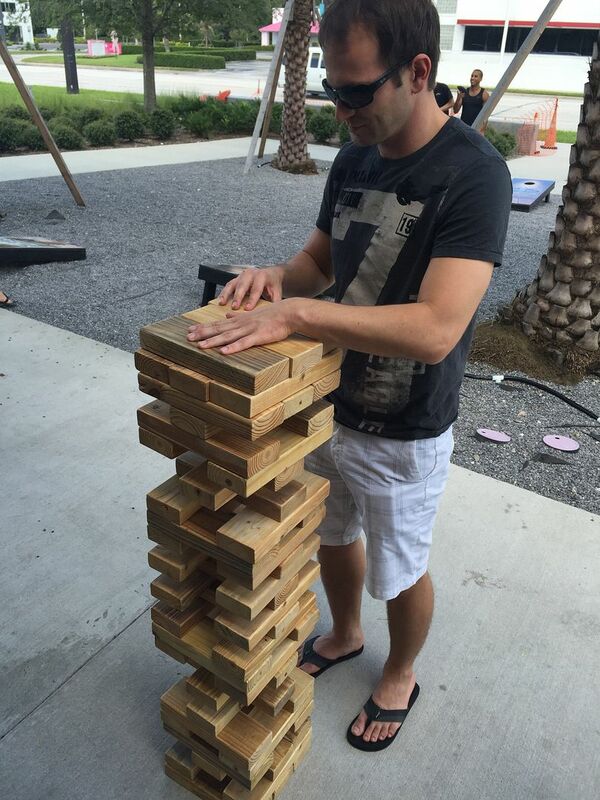 i am horrible at normal jenga so i would love to see how i was with the big stuff. you look so adorable in your tailgating outfit, sorry you got soaked! and now i need to go to the melting pot. yum. I still haven't been to a college football game this season, and it's absolutely breaking my heart! All I have to tell myself is next weekend though, and it'll be here before I know it. That giant Jenga game looks like so much fun! I love me some Melting Pot! Dessert is my favorite course for sure. I've never had that one but every time I've had it it has been sooo delicious! Yay for football and tailgating! I'm so jealous! 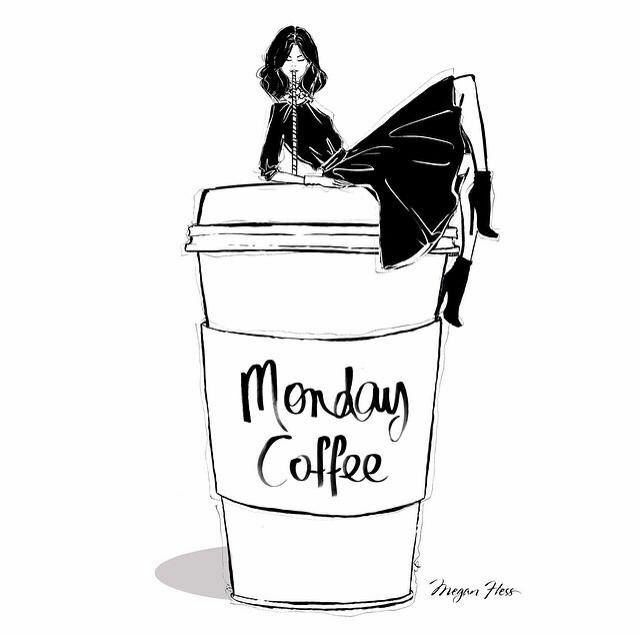 Sounds like a fun weekend, but I'm with you on needing a coffee that big not just for today, but possibly the week. Hoping for a less hectic week for you friend! I'm glad you and Kerri made time to watch us get BEAT by the Gators for the 29th year in a row! That dessert from Melting Pot looks amazing! Glad you guys had a nice weekend and hope you have a less stressful week! Super fun weekend! 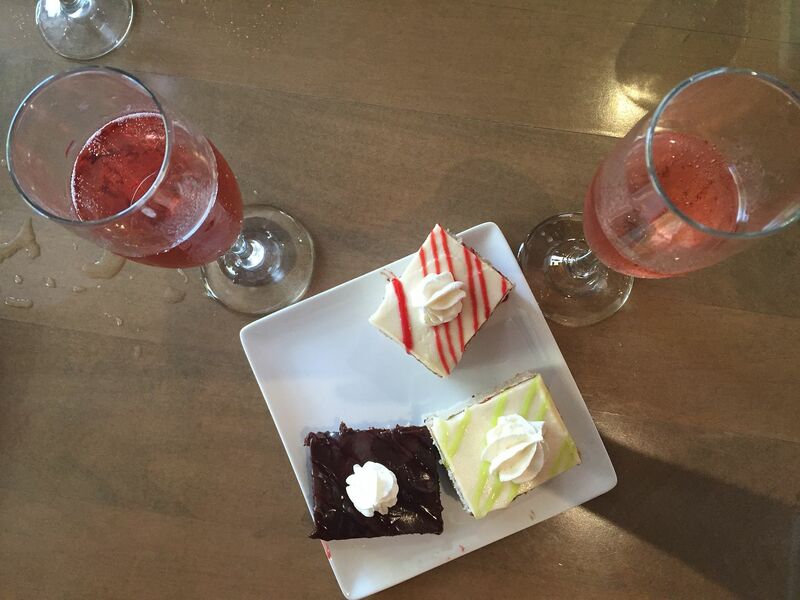 And um, that dessert from The Melting Pot looks like heaven! 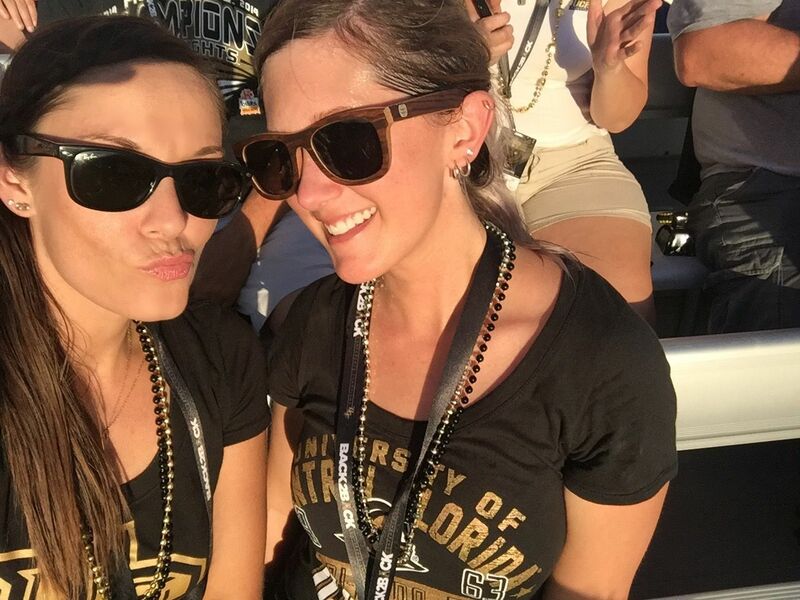 Sounds like you and Kerri had the best time! I am loving that dessert photo...who knew that The Melting Pot had such a cool option? !